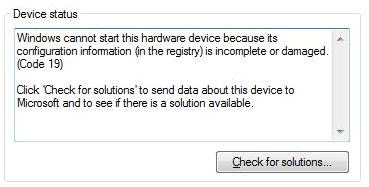 I checked for solutions and it recommend that I uninstall and then install the hardware device. I uninstall the hardware device and restarted my computer. The operating system detected the DVD Drive and was downloading the drivers. The installation of the drivers failed and I kept receiving the same error. 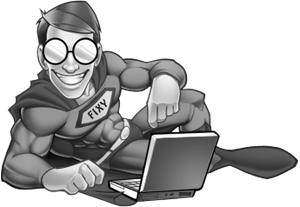 Microsoft Fix It is an application designed by Microsoft to help solve many common problems in your Windows Vista. Even though it was designed for Vista, it is fully compatible with Windows 7. The Fix It Solution did not work, but the filter drivers reference finally got me on the right track. I opened the Registry Editor by pressing Win-R, typing regedit and hitting enter. I located the filters entry and deleted. The problem was solved. I rebooted the computer, the drivers were installed and I received no errors this time.